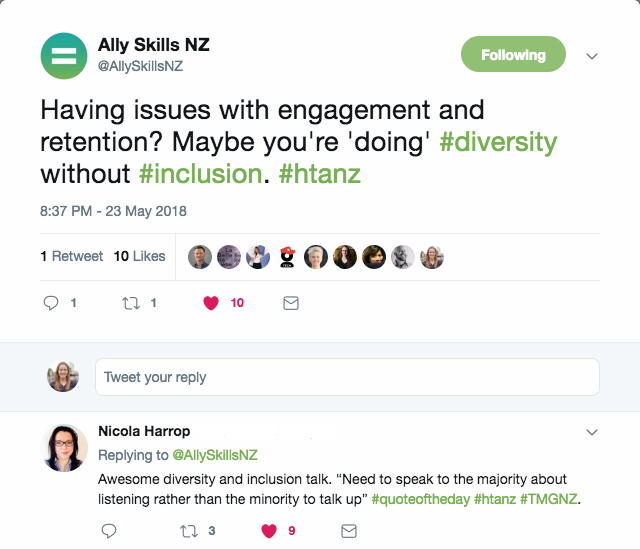 How can diversity and inclusion help your organisation improve its ability to attract, engage, and retain great people? The 2018 NZ Hi-Tech Awards focused on spotlighting diversity within the tech sector. This annual awards event celebrates New Zealand’s most successful high-tech companies and highest-achieving individuals. As part of their focus on diversity, the NZ Hi-Tech Awards team invited me to speak at their annual alumni event. This event takes place the day before the Awards Gala and is an opportunity for past award winners to share and learn together. 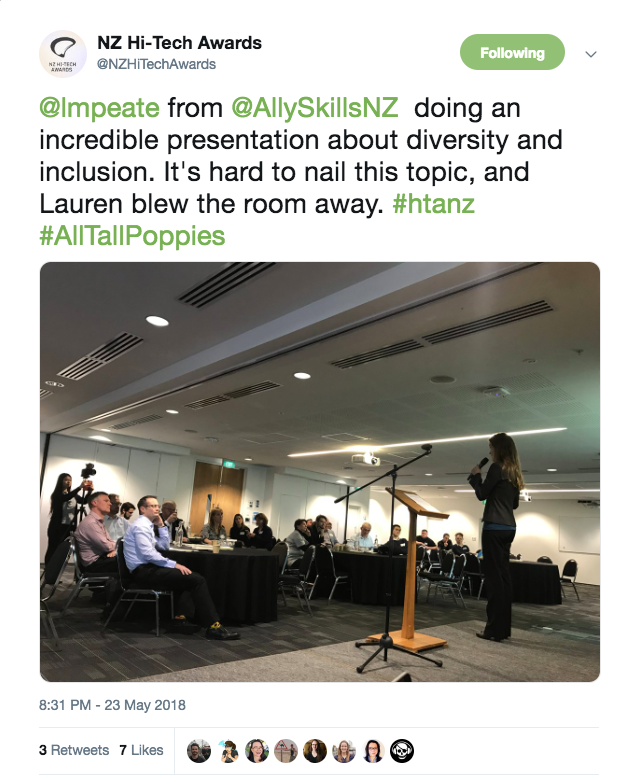 Erica and I headed out to the event to represent Ally Skills NZ.